← How Do We Engage with Ideas that Make Us Uncomfortable? In July 2014, our Technical Services department had 13 full-time employees. Today, there are 5 with a looming retirement that I am hoping to be able to replace. The work related to physical paper materials is certainly less than what it used to be, but I am sure it is not 66% less. Plus, management of electronic resources and maintenance of a robust, user-friendly online catalog takes work. In many instances, technical services tasks of today are just more technical and take a specialized skill set that is not easily replaced. Absence of the staff to complete the work means a backlog is created and at some point the work may never get done. This ultimately affects the users; reference librarians, faculty, students, and general library patrons. Will we actually move forward without a full time cataloger? Who will do the work? What will the skill set be for a future Technical Services Librarian? Is a Technical Services Department still necessary? These are logical questions, but it seems like no one has definite answers. The outsourcing of some tasks can bring about mediocre results where work has to be minimally acceptable compared to not even being done at all. More trendy tasks move up on the priority list. We may find some of the answers in competency lists. AALL, ALA, and ACRL all have them. Maybe traditional public services librarians need to have more than a basic understanding of how to use an online catalog. Take a look at what our professional organizations are saying about skills librarians should have. Many of them have verbs such as arrangement, access, cataloging, organizing and managing attached to them. Do you possess any of these skills? Should we all have some working knowledge of the competencies? 6.1 Ensures the optimal arrangement of and access to the library’s resources to meet the needs of users. 6.2 Improves the power and scope of library services through resource sharing. 6.3 Selects and implements an appropriate level of descriptive cataloging, classification, and subject analysis to meet the needs of the institution and the nature of its legal materials. 6.4 Creates, selects, and manages catalog records according to national standards and accepted practices. 6.5 Selects, implements, and continually improves an integrated library system appropriate to the needs of the institution’s users. 3A. The principles involved in the organization and representation of recorded knowledge and information. There is no doubt that librarians today need to have a wide range of skills. 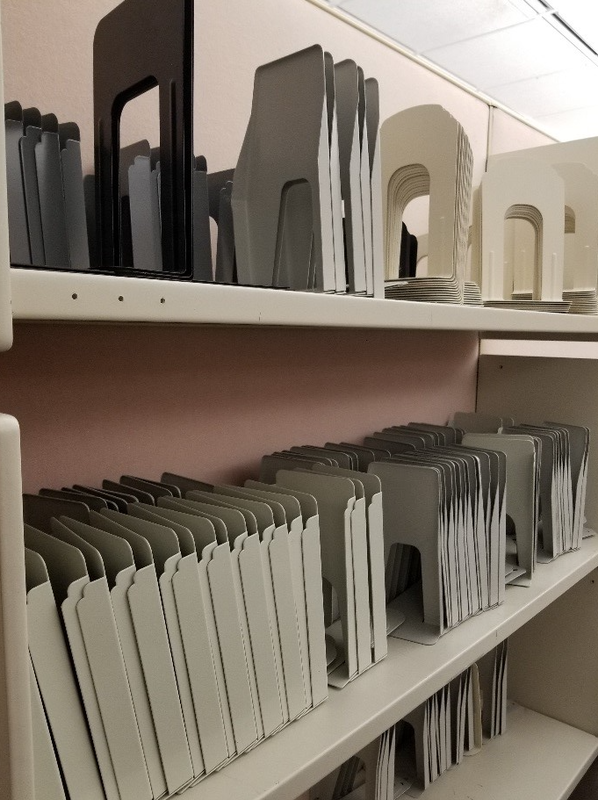 The ability to organize materials of any format in a searchable database is something that institutions often take for granted. I have long been an advocate of making technical services librarians member of web page committees, students services departments, and basically involved anywhere the school needs to get information organized in a fashion where others need to find it. Most often that request to utilize our best professionals in the work that can best serve the organization has fallen upon deaf ears. Recently, however, our Information Technology Department has suggested someone from the Library serve as a liaison to faculty and IT in helping organize how our new Learning Management System should be laid out. Unfortunately, with so few left in the Technical Services Department, I am not sure we can pull off that request. Or, is this an opportunity to good to pass up on no matter what other work goes on the back burner? No full time cataloger? It is just not an option. I will continue the battle to preserve the Technical Services Department and all the value they bring to our institution and ultimately to legal education and research. This entry was posted in Issues in Law Librarianship and tagged Technical Services. Bookmark the permalink. In my last job, I heard words that made my blood run cold, “The last person who cared about authority control retired ten years ago.” The principles of cataloging are even more important in the ephemeral world of online materials. Authority control is still very important. A large state academic library in Michigan outsourced the work for a few years, but then brought it back to internal staff since the work was not up to their standards! No one will use a catalog that does not give them information that will be helpful in the research process. Garbage in, garbage out simply creates a useless online catalog.